Design is a critical consideration when you think about getting yourself a new helmet. The design is a primary determinant of the level of comfort you receive. It will also determine whether the helmet will distract you from the overall riding experience. 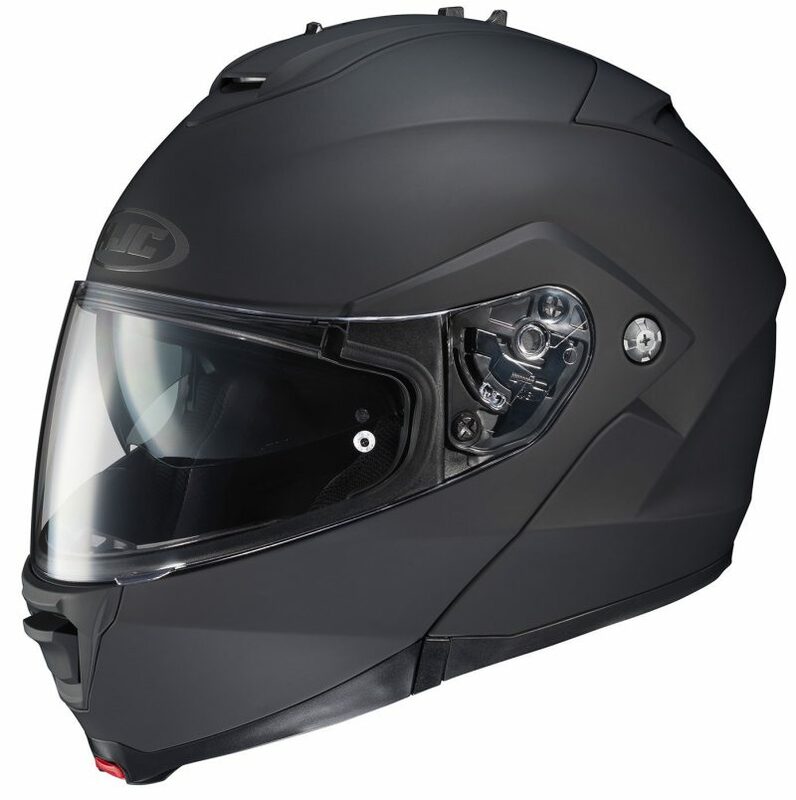 Bearing this in mind, HJC IS-Max 2 offers a nicely designed helmet even though it is a bit expensive. This product has an advanced polycarbonate composite chin bar, shell and has one button for releasing the face shield and chin bar. The most interesting thing is that the manufacturer uses the CAD technology to identify the kind of comfort and fit that is ideal to users. He incorporates these elements in the device quite well. In case the sun becomes too hot, quickly turn on the smoke-tinted shield that is integrated in the product. The HJC comes with Bluetooth 4.1 technological support and works with a maximum speed of 75 miles per hour. The system has an inbuilt FM radio function and also features advanced noise reduction and HD audio. Therefore, you can minimize the noises when on calls with your friends and family. The Bluetooth works well over a range of 30 meters. A single charge can last this helmet for up to 15 hours before you can recharge. The system depends on Micro USB for connectivity and powering. Therefore, it is a nice idea to have an adapter at hand.